All retailers share the need for barcode scanning technologies to quickly collect transaction data on the sales floor and inventory information in the back of the store. Regardless of size or segment, every retailer can easily use barcode & RFID solutions to gain the storewide efficiencies and cost reductions needed to survive in the competitive market. 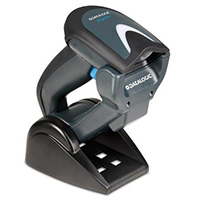 There are plenty of affordable barcode/label printers available to produce tickets and tags, price labels (temperature & moisture resistant), large-format tags for durable goods, and everything in between. POSDATA employees are experts in matching your needs with the printed best suited for it. 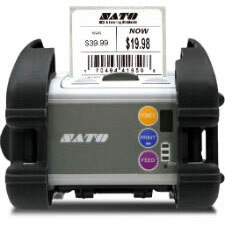 Using mobile printers for in-aisle re-pricing and shelf-edge labeling can reduce labor costs by up to 40%. 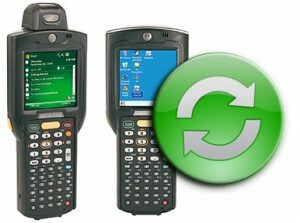 It also allows for timely price changes and better handling of returns. You need to meet a wide variety of needs for different workers—from associates providing direct customer service to managers who need to stay on top of everything happening. While it is tempting to allow employees to use their own mobile devices for various business functions in retail, you run serious security and operational risks in doing so. The best option is to equip your employees with enterprise mobile computers built specifically for retail. For finding the right solution, POSDATA is here to help. 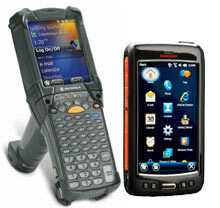 You have a wealth of options when it comes to barcode scanning technologies for retail. Whether a trustworthy handheld scanner like Datalogic’s GBT4400 or a fixed checkstand solution like Motorola’s MP6000 Scanner/Scale, POSDATA has the solution you need for your workers to capture the data that matters as fast and accurately as possible. A wide variety of barcode printers can and should be used in the retail setting, from mobile printers that can provide shelf-edge labeling on the sales floor to desktop printers for back-of-store labeling of inventory. Today’s modern barcode printers come with advanced network connectivity, high-quality label formats, and streamlined design. To best serve your customers and employees, your store should be equipped with complete wireless network coverage. 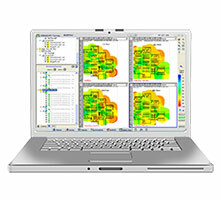 POSDATA offers installation of the wireless infrastructure, including configuration and connectivity verification of the switches, routers, antennas, mobile devices, printers, and other related equipment. Periodically your equipment needs to be upgraded to take advantage of new software, firmware, and hardware. From new product and software demonstrations to testing and product configuration, POSDATA will take charge of your product refresh project and successfully complete your upgrade on time.